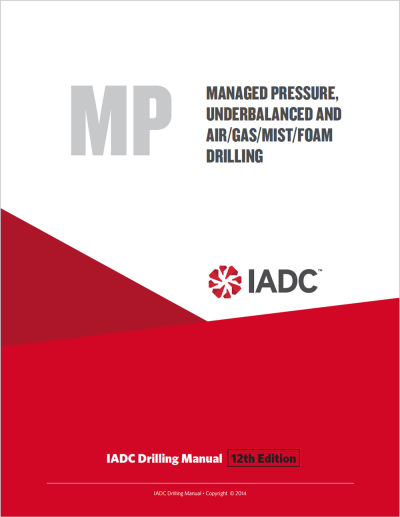 This new eBook, an early-release chapter of the 12th edition of the IADC Drilling Manual, is a brilliant guide to the key enabling technologies of managed-pressure, underbalanced and air/gas/mist/foam drilling. Covers drivers and all variations of MPD, including constant bottomhole pressure, pressurized mud cap drilling, continuous circulation devices, dual-gradient and riserless drilling, deepwater applications of MPD, air hammer drilling, and more. Discusses enabling equipment, common problems. Includes 16 full-color charts and photographs. 23 pages. © IADC. All rights reserved. Don Hannegan, P.E., George Medley, P.E., Bill Rehm, and Reuben Graham.